To better address the ever-growing number of music professionals without basic or adequate medical coverage, MusiCares (50lc3 non-profit organization) works closely with a dedicated group of health care professionals through the MusiCares Medical Network to provide the valuable and often life-changing services that some clients require, but simply cannot afford. The network is comprised of providers who recognize this reality and generously give their time and expertise to treat MusiCares’ referrals that are underinsured or uninsured and lack the means to pay for services. Through the efforts of these professionals our clients are able to access specialty care that may not be available to them. MusiCares can often cover the costs of the services offered by the providers when the music client receives approval in advance. MusiCares Medical Network providers are needed in a variety of specialty areas nationwide, including Internal Medicine, Anesthesia, Orthopedic Surgery, General Surgery, Physical Therapy, Ophthalmology, Dentistry, Occupational Therapy, Podiatry, Urology, Otolaryngology, Dermatology, Addiction Medicine and Family Medicine to name a few. We are interested in expanding our coverage to provide a broader outreach to the music community. MusiCares will initially vet the client case to determine eligibility and will then schedule the appointment for the client in need. Initial fees will be determined in advance for the initial visit and all payments are issued directly to the provider after the services are provided. 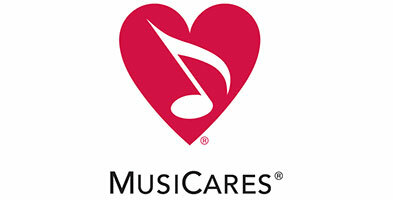 MusiCares provides direct financial assistance to approximately 6000 clients annually for a variety of issues and needs. Each provider in our medical network shouldn’t receive any more than a few referrals annually. (615) 327-0050 p. (615) 327-0876 f.